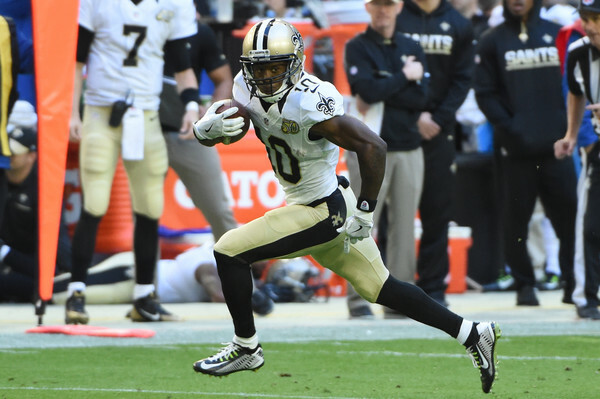 One of the strongest rumors going around NFL circles at this point is the New Orleans Saints look to trade wide receiver Brandin Cooks. The Tennessee Titans & Philadelphia Eagles are interested, but are they willing to pay the price? Cooks, entering the fourth and final year of his rookie deal, is going to cost a team more than first round pick in order for the Saints to make the trade. The Saints currently have the 11th overall pick, and one scenario being floated around is the Titans swapping picks with them (currently own number 5), while throwing two more picks at the Saints to appease them. The Titans also have an 18th overall pick, which could also be used to acquire Cooks instead of a swap of picks. Regardless, Sean Payton has said it would take a significant offer to make the Saints consider trading Cooks, who’ll be 24 in September. It is rather rare to see a team shopping a potential star in Cooks, but team’s relationships with expensive wide receivers have always been strange, seemingly very reluctant to give them massive extensions, when compared to how they deal with defensive players, offensive linemen and not to mention the always-easy-to-throw-money-at, quarterbacks. Cooks is coming off two seasons in which he averaged over 1100 yards and 8.5 touchdowns, including the longest pass-play in the league last season at 98 yards. The Eagles, at least when going over their 2017 draft order, don’t have a lot to hand the Saints right now. They have the 14th overall pick, and own multiple picks only in the fourth round. Considering the holes they have all over the team, especially on offense, it might put them a bit behind the Titans in eligibility to land Cooks, who is obviously going to cost someone a lot of money when the time comes to sign him to a new contract, whether it’s now or at the end of the season. He comes with a very team-friendly $2.6 million cap hit for 2017, being a 1st round, 20th pick in 2014 after playing for Oregon State. Cooks voiced some frustration with the role he had in the Saints offense in 2016, believing he deserves to see more passing coming his way, which didn’t happen in a dynamic offense that looks to involve as many players as possible. Cooks did end up posting similar numbers to 2015, but as the Saints showed with Jimmy Graham, they aren’t afraid of trading star players in their prime if it fits their plan. There were rumors last season of a potential trade brewing between the Patriots and Saints, that would have sent Jamie Collins to New Orleans. Collins ended up going to the Cleveland Browns.